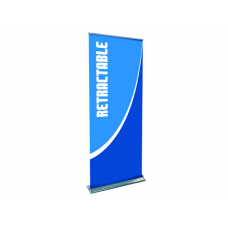 Retractable banner stands, which are sometimes referred to as roller or roll-up banner stands, are light weight and portable display solutions that are ideal for trade shows, exhibits, sale meetings, office lobbies, or anywhere you need to showcase your products and services. Because of the retractable base unit, retractable banner stands are very stable and the graphic is protected during transport. 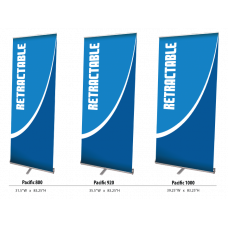 Retractable stands work much like window shades in reverse. The graphic retracts into the base unit, which sits on the floor. 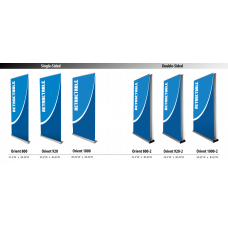 To set up the display, you simply pull the graphic up from the base unit and attach the graphic to the pole extending from the base unit in the back. To take the display down, you just unhook the graphic from the pole and let it retract into the base. The pole folds up for easy storage and transport. 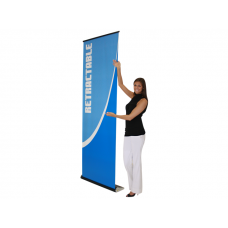 Set up and take down can be completed in under 2 minutes on all of our retractable banner stands. 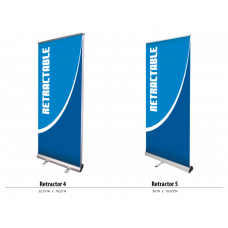 Our retactable banner stand graphics are printed at 720 dpi resolution onto a premium, super-smooth vinyl that has proven to be very durable and has virtually no edge curl at all. 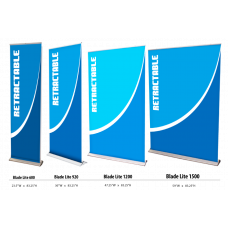 Fabric banners are available upon request, but we highly recommend our super-smooth vinyl as the print medium for retractable banner stands. 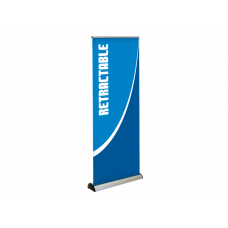 The Advance Double Sided Banner Stand is an innovative banner design that supplies multiple benefits.. The sleek styling, versatility, and proven dependability of the Barracuda make it one of the best pr..
Blade Lite is an attractive, sleek stand in anodized silver with chrome endcaps and a streamlined ba..
Sleek styling coupled with the latest banner stand technology makes the Blade LX lightweight, portab.. 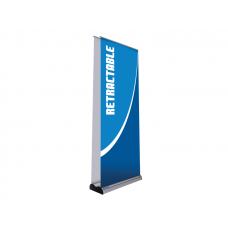 This stylish banner stand is the perfect addition to any display. Easy to use with a snap rail and b.. 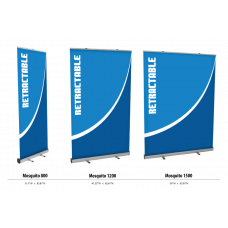 The Contender's sturdy aluminum construction and sleek ergonomic appearance have helped it become a ..
At a towering 97” high, over 8’ tall, this banner stand makes amaximum impact with the ease and conv.. 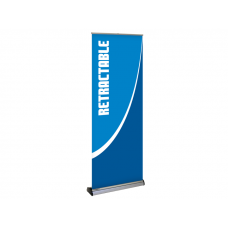 The Excalibur is a premium retractable banner stand that's unique because it offers double sided gra.. 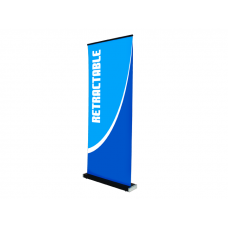 The Imagine is a premium retractable banner stand that's unique because the graphics are stored in a.. The Mosquito is an affordable, versatile stand in silver with sleek black endcaps. With three b.. 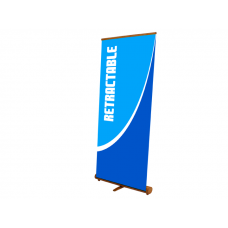 This banner stand goes green with bamboo construction and a quality build. Beautiful to look at and .. 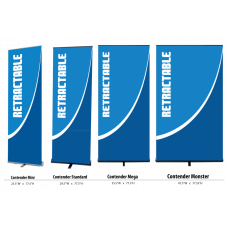 The Orient combines elegance with excellent value, making it a great all-around medium duty retracta..
Retractor 4:The elegance and simplicity in a double sided banner stand! Dual retractor mechanisms al..